In november 1985 the last In The Mix was broadcasted. This particular mix is also being considered a Grandmix, under the title The Classicsmix. It featured the best tracks from 1970 to 1982. 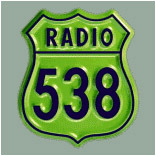 The 'Directors Cut' broadcasted on Radio 538 in november of 1999 was played from DAT.